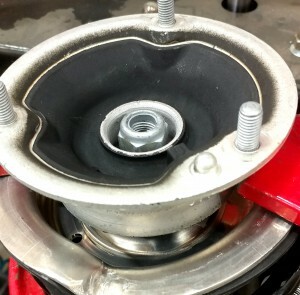 Use an Impact Gun on Shock or Strut Upper Mount Nuts! 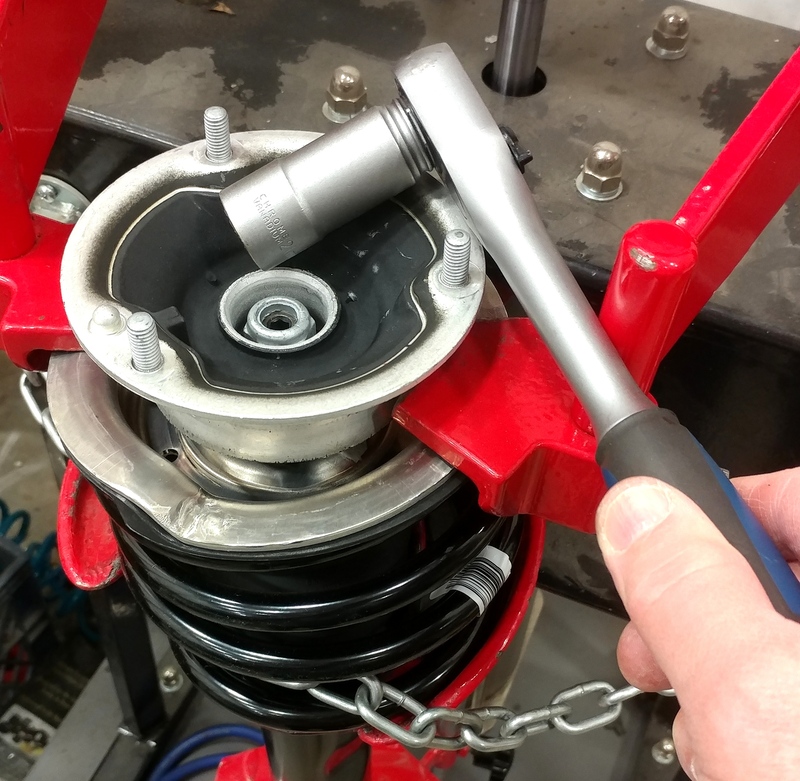 Every year we receive a few phone calls from customers (or their technicians) who have snapped off the top of a shock piston rod by using an impact gun to tighten the top shock mount nuts. It should come as no surprise that this is not covered by any manufacturer’s warranty. But, when I tighten the nut by hand, the shaft turns! 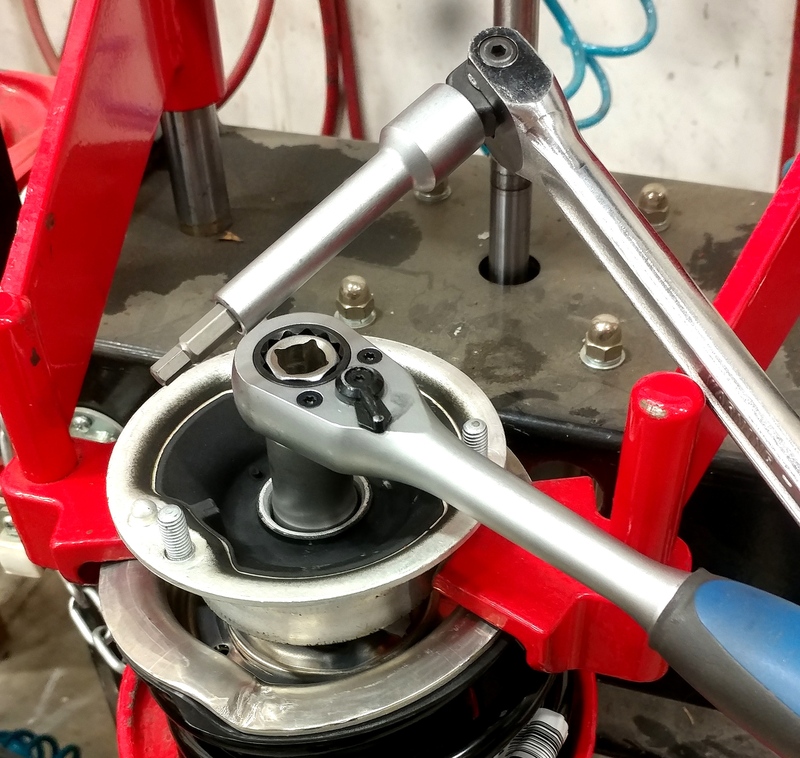 When installing front shocks, strut cartridges or rear shocks on your BMW or MINI, it is very important to tighten the nut that secures the rod to the upper mount by hand! Changing shocks/struts can often be a challenge for the home mechanic. 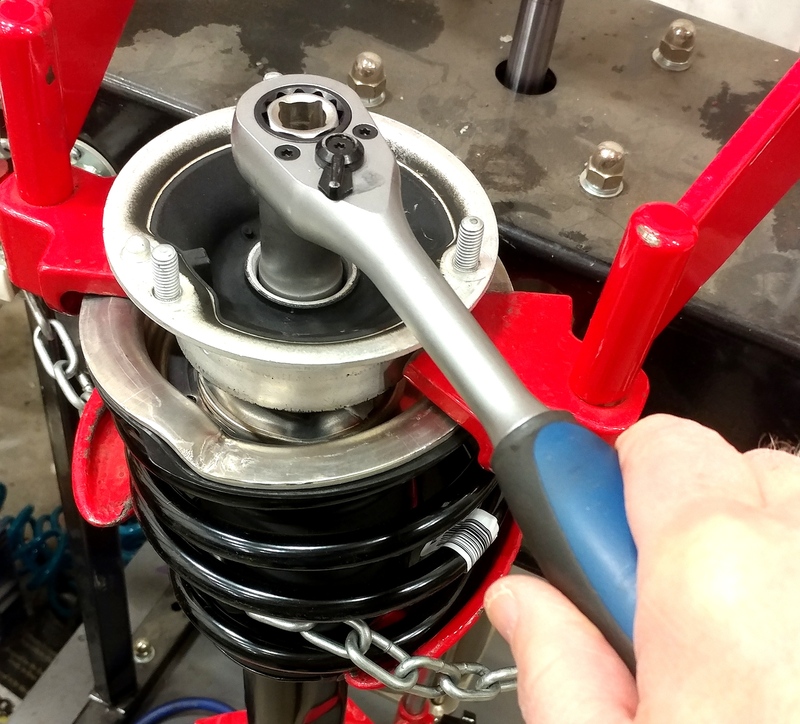 The removal and installation procedures themselves are relatively straightforward, but it’s not all that easy to loosen or tighten the upper shock/strut mount nuts by hand. 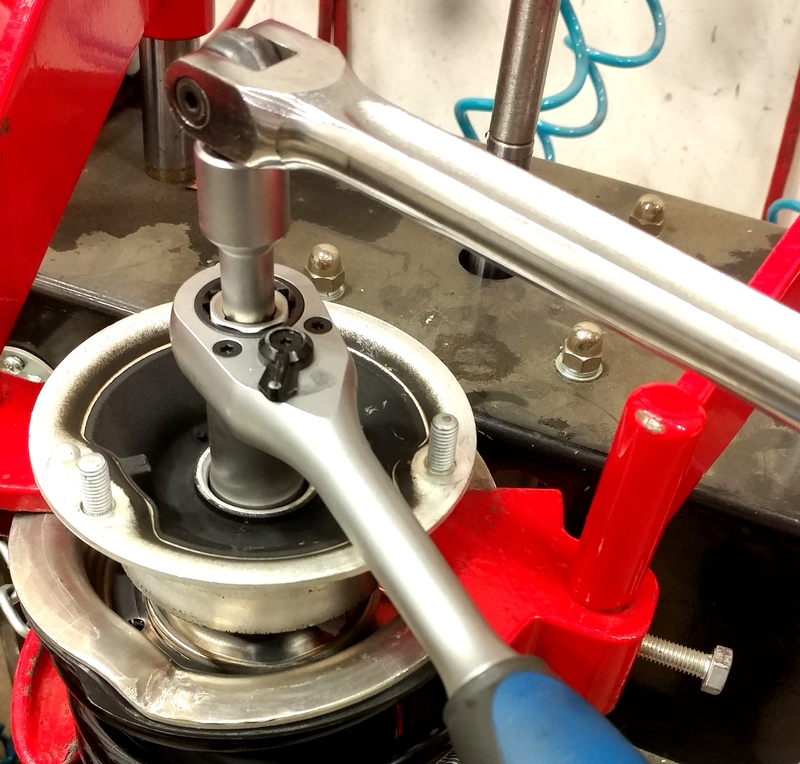 More often than not, the piston rod of the shock/strut spins when you’re trying to loosen or tighten the nut. Use the Proper Tools ……. 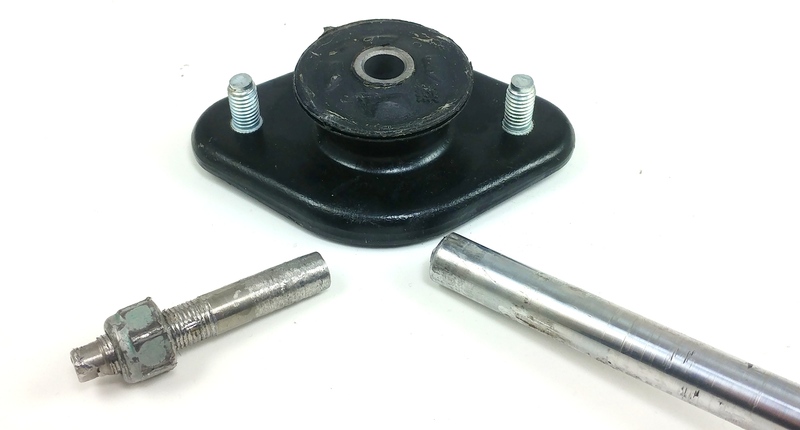 BAVauto offers a full shock and strut mount nut installer tool set. The tool set provides the tools to hold the shock/strut shaft stationary while the nut is tightened or loosened. The kit contains 10 different sized shock holder tools for the top of the piston rod (hex, allen, torx, oval, etc. ), 7 different specialized hollow sockets for the nuts and a special ratchet for the hollow sockets ….. all packaged in a nice plastic storage box. * Select the socket that matches the size of the nut and the piston rod holder tool that matches the top of the shock/strut piston rod. * Thread the nut unto the shock/strut shaft, by hand. * Install the socket onto the ratchet. and place the socket on the nut. * Attach the piston rod holder tool to a 1/2″ drive ratchet or breaker bar. * Insert the piston rod holder tool down through the hollow socket and into/onto the top of the shock/strut piston rod. * Hold the piston rod holder tool (using the ratchet or breaker bar) while using the socket and ratchet to tighten the nut. * Specified torque is typically in the range of 25-35 ft-lbs for internal hex/torx shock shafts and 40-50 ft-lbs for external hex/torx/oval shock shafts. See the applicable Bentley Publishers Repair manual for model specific torque values. ** Be careful to try not to tighten by turning the shock shaft (piston rod) with the piston rod holder tool. This can cause the bit on the tool to break. Still have a question? Call us at 800.535.2002 or click Otto to email.